Okay, now let’s talk about plants. I like to buy a few new plants every year. It’s fun to have something new in the garden, and it’s always interesting to see how they do—or don’t do, as is the case with nearly every Japanese anemone I’ve ever planted except Anemone tomentosa ‘Robustissima’. That beauty has survived whatever my brown-thumb problem is with these plants. Anyway, I’d like to tell you about a few plants that I’ve tried and come to love over the past couple of years. First up: Astilbe ‘Chocolate Shogun’. The dark purple foliage of this unique astilbe looks beautiful in my shade gardens where I’ve paired them with hostas, ligularia and yellow-leaved ‘Sun King’ Japanese spikenard. Hardy down to horrifyingly cold Zone 3 (Minneapolis is Zone 4), ‘Chocolate Shogun’ grows 18 to 24 inches high and does best in partial shade. Even when established, these plants need to be watered so try to group them with other plants that like a little extra moisture, such as ligularia, dwarf goatsbeard and foam flower (Tiarella cordifolia). If you’ve never grown epimedium, let me introduce you. There are several varieties to choose from for our region. I’m partial to Snowy Epimedium (Epimedium x youngianum ‘Niveum’), which is hardy to Zone 4. These delicate-looking shade-loving plants grow 6 to 8 inches tall and up to 18 inches wide. The heart-shaped foliage is pretty enough to make this a must-have for me, but the miniature white flowers that appear in early spring are a much-needed respite from winter. Feeling pretty sick of bee balm looking great and then getting covered with disgusting powdery mildew by July? Me too. That’s why I’d recommend Eastern bee balm (Monarda bradburiana). 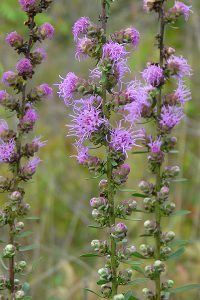 Hardy to Zone 4, plants grow to about 2 feet tall and wide, and they are nicely clumped rather than floppy like some bee balms can be. Plant these in full sun to partial shade and bees and hummingbirds will zoom in to enjoy them. I’ve got a couple of different varieties of goatsbeard in my gardens, but my current favorite is ‘Horatio’ (Aruncus ‘Horatio’). Hardy to Zone 4, plants grow to about 3 feet tall and wide and will do best in partial shade—though they can tolerate full sun. I love the dark green leaves on this variety, as well the white, fringed blooms, which have a faintly sweet smell. Lungwort (Pulmonaria) sounds like a horrid plant, but it’s really quite lovely despite its name, which came about because the plants’ leaves were long ago used unsuccessfully to treat lung infections. Over the years I have added many varieties of lungwort to my gardens. All have their good points, really, but Pulmonaria ‘Raspberry Splash’ is my favorite. Hardy to Zone 4, these plants grow to about 12 inches high and are said top out at about 18 inches wide. In truth, the ones in my front gardens are much wider, so huge, in fact, that people often wonder if they are “some kind of spotted hosta”. Plants will do best in partial shade and are covered in early spring with raspberry-colored blooms. It’s nearly spring and that means my Little Free Seed Library will soon be up and running. As many of you know, I reserve the top shelf of our Little Free Library for seed sharing in the spring and fall. I will be stocking the library in mid-March with seeds from my garden, as well as several different types of seeds that people donated late in the fall. The library is located on the boulevard on the corner of 45th Street and Washburn Ave. S. in Linden Hills. There are small, coin-sized envelopes available for those who want to take seeds, as well as pencils to write down what you’ve packaged up. Seeds that are available for the taking are either in their original packets or large envelopes that are labeled with the plants’ names. Please take what you want from those packets and large envelopes and leave the rest for others. If you have seeds to share—and we can always use more—please bring them in their original packets or envelopes that are labeled so people can clearly see what’s available. And thank you very much to all who have helped make this seed-sharing library a success for the last several years. People stop by all the time during the summer to tell me that the sunflowers or tomatoes or cosmos in their yard came from the seed library. Sometimes they even get out their phones to show me photos of what they’re growing. It’s a joyful thing to be part of and all of us are making it possible. Way to go, us! As you probably know, news about the health of bees continues to get worse. 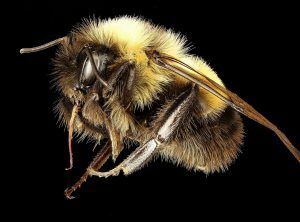 Just last December the rusty-patched bumblebee was declared endangered by the U.S. Fish and Wildlife Service because their numbers have declined so much in the past 20 years. 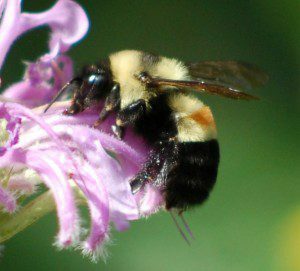 Other bumblebee species are also declining, as are populations of other types of bees. 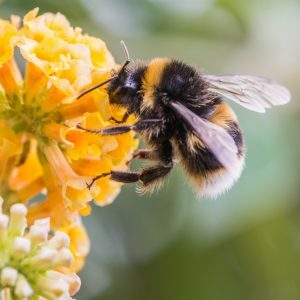 Gardeners are in a unique position to help bees of all types. 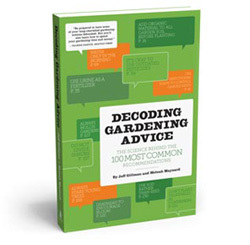 If you’d like some bee-friendly plant ideas, have a look at the University of Minnesota bee lab’s publication, Plants for Minnesota Bees. Plants on the list vary widely and are workable for home landscapes of many different types. Don’t feel like buying new plants? No problem. If your lawn is chemical free, you can help pollinators by leaving some of your lawn weeds for them to feast on. White clover is everywhere is most people’s lawns, and it often blooms from mid-spring through the fall. Flowers on this not-that-bad-looking weed, which is recognizable for its three-leaved shape, are white and bees love them because they are wide enough to land on comfortably. White clover doesn’t need to be tall to bloom, so if you set your mower to 3 inches, your lawn will look reasonably neat and you’ll still leave plenty of nectar and pollen for your bee friends. Dandelions are also a bee favorite. So while these weeds are less easy on the eyes, consider leaving a few in some area of your lawn. Those yellow flowers provide bees with nectar and pollen that they need to survive. Again, though, be sure that areas you leave for bees are not treated with chemicals that will harm or kill them. No matter what your lawn service tells you, none of the chemicals used to treat grass are safe for pollinators—or other living things, for that matter. But that’s a separate column. For now, let’s set our sights on helping the bees. They need us now more than ever.